This baby walker transforms the house into the magic of Disney Baby. 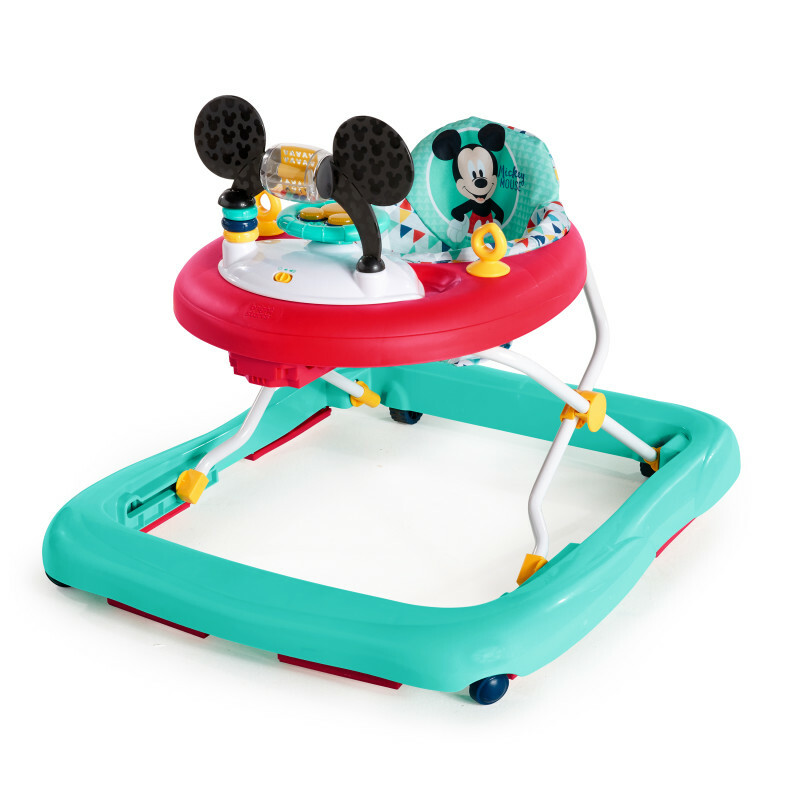 With Mickey Mouse as a playtime co-pilot, every pre-walking step is filled with magic. Your baby can drive his imagination with a steering wheel that activates lights, music, sounds and FUN! Did you know mouse ears make the best rear-view mirrors? And the entire activity center – spinning roller ball and all – is removable for playtime anytime. You can rest easy knowing this fully loaded activity walker is made with all the safety features your baby needs to play on two feet. Make the fun last even longer by adjusting the frame to three height positions. Dimension (in) 34" x 28" x 24"
Seat pad – Remove from frame. Machine wash with cold water, gentle cycle. No bleach. Tumble dry, low heat.Plastic Parts – Wipe clean with damp cloth and mild soap. Air dry. Do not immerse in water.Frame – Wipe the metal frame with soft, clean cloth and mild soap.